Spin City Health Club Small Animal Cage by WARE Mfg. 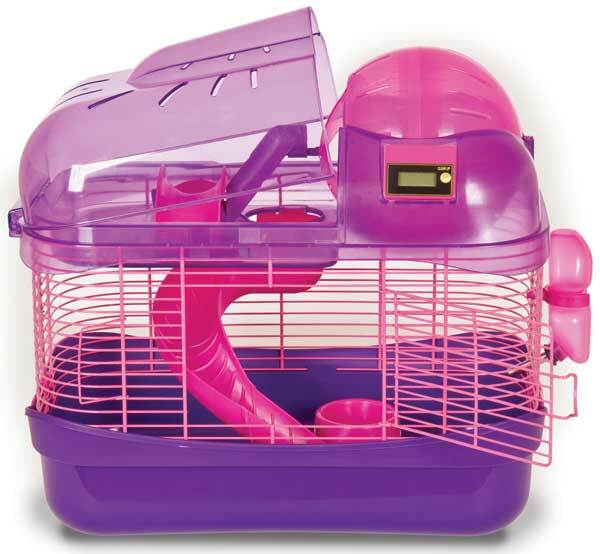 Keep your small furry critters in shape with their own Health Club. Great fun for Hamsters, Mice, and Gerbils in this fully functional Gym equipped with a Spiral Slide, Teeter Totter, and Fun Run Ball. The Critter Cyclometer (digital counter) keeps track of your critters jogging distance by logging the Fun Run Ball's revolutions. Easy access provided by large front door and pop-up roof panel.